Retailers Insurance believes safe, healthy employees are key to a successful business. These tips are designed to help. New research from the AAA Foundation for Traffic Safety finds that drivers who miss between 1 and 2 sleep hours, out of the recommended 7 in a 24-hour period, nearly double their risk for a crash. That’s especially concerning in view of the fact that, according to the Centers for Disease Control and Prevention (CDC), 35 percent of U.S. drivers get less than 7 hours of sleep per night. Drowsy driving, AAA says, is involved in more than one in five fatal crashes on U.S. roadways each year. Drivers seem to know the perils of taking the wheel while sleepy. 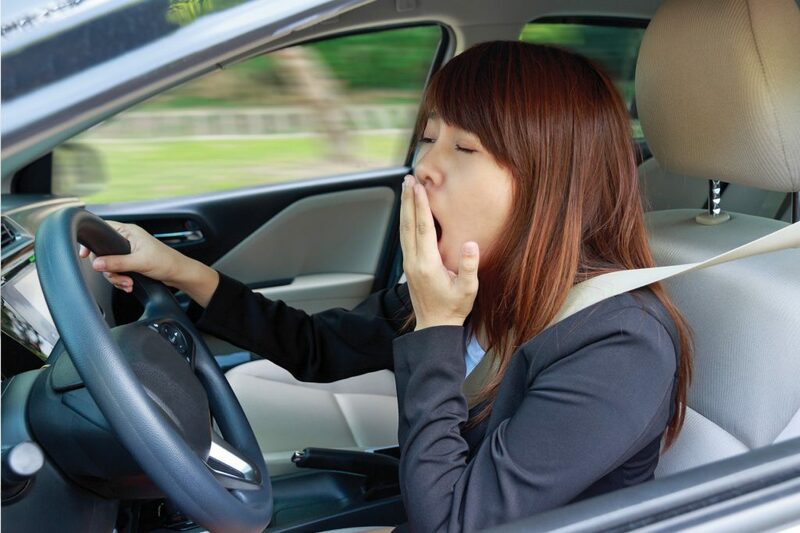 While 97 percent told the AAA Foundation they view drowsy driving as completely unacceptable and a serious threat to their safety, nearly one in three admits to driving at least once in the past month when being so tired it was difficult keeping the eyes open. • Avoid medications that cause drowsiness or other impairment. A National Highway Traffic Safety Administration (NHTSA) study shows daytime seatbelt use reached 90.1 percent in 2015, up from 88.5 percent in 2014. Even with higher use, NHTSA notes that nearly half (48 percent) of people killed in crashes in 2015 were not wearing their belts. When used properly, lap/shoulder belts reduce the risk of death to front-seat occupants by 45 percent and the risk of moderate-to-critical injury by 50 percent. In 2015, seat belts saved nearly 14,000 lives, and since 1975, seat belts have saved an estimated 375,000 lives. • Never mix cleaning products that contain bleach and ammonia. • Know which chemicals must be diluted and how to correctly dilute them. • Attend training and apply what you learn about the use and storage of cleaning chemicals, and about emergency spill procedures for cleaning chemicals. • Wear the required personal protective equipment needed for each chemical, such as gloves and/or goggles. • Know how to read the labels on all containers of cleaning products and chemicals to identify content and hazards. Report containers that are not labeled, and don’t use the chemicals from those containers. • Check with your supervisor about ventilation systems that may be needed during cleaning to allow sufficient airflow and prevent buildup of hazardous vapors. Look for rot, which can occur at the base of the tree or at any point along its length. If one trunk of a multi-trunk tree is rotten, treat all of the trunks -as rotten. • 16 feet for lines carrying 345,000 to 750,000 volts. • 20 feet for lines carrying more than 750,000 volts.